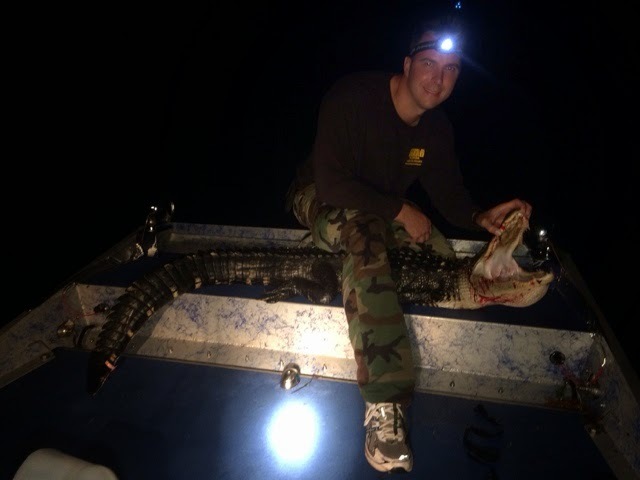 (Disclaimer: It was gator season AND he had a gator hunting tag). 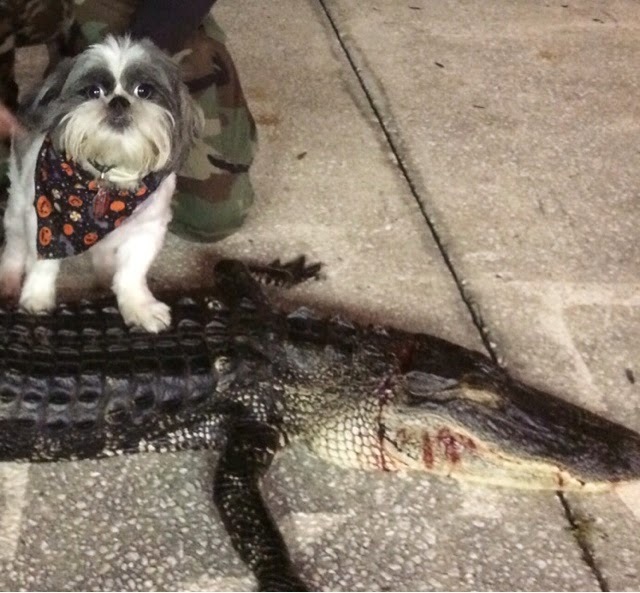 Gizmo claims that HE caught the gator and Boss is trying to steal his thunder. So who do YOU think actually caught the gator??????? They were quite good. We hope to have swamp n surf soon using the rest of the gator meat and the lobsters Boss caught during lobster season.